Hey guys, today we will be continuing with the Frozen series. 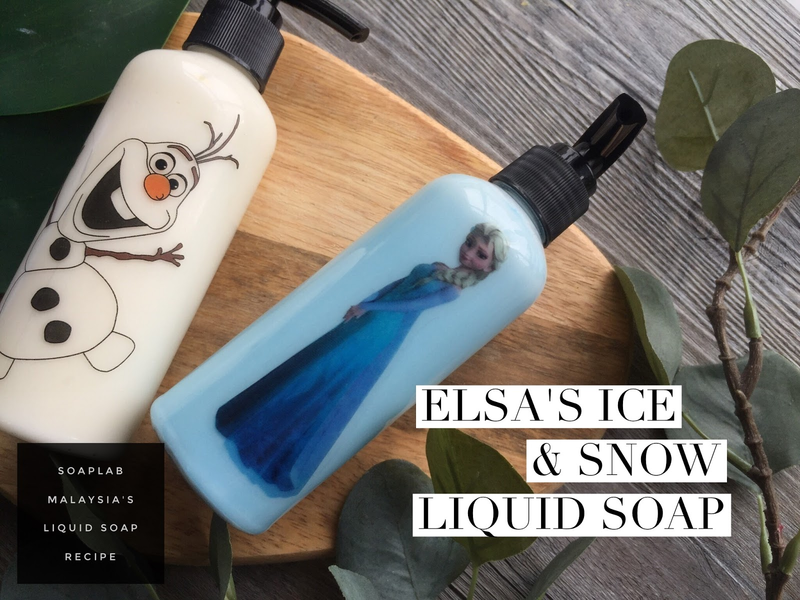 This time it will be the older sister, the Elsa’s Ice & Snow liquid soap. The liquid soap has a coconut liquid soap base. It works a great antibacterial, which is great news for the young ones. Kids tend to play outside a lot and get dirty, so this will help reduce the risk of germs. The next ingredient in the liquid soap is menthol. Imagine your kids, coming home after a long day of school or football practice. The menthol will give a nice cool sensation, which will freshen them up in no time. The next ingredient is the vanilla lace fragrance oil. The nice scent definitely helps you feel refreshed afterward. The ingredients used to make this liquid soap, is light and gentle, so it can be used by those with sensitive skin. You could introduce this soap to your adult customers as well, if they are looking for something gentler.